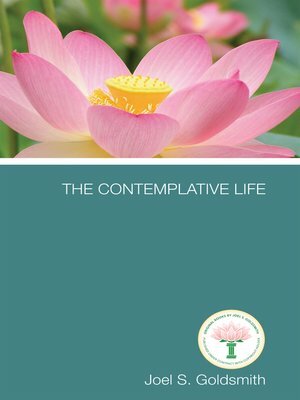 The Contemplative Life is a guide for those who are seeking a way to be "in the world but not of it." In this book, Goldsmith explains how to bridge the gap between the compelling activities of daily living and the absolute silence of our inner Being, where we are one with God. He brings fresh insight to the practice of contemplation and meditation and explains how to make the mind an instrument for the free flowing of the Spirit. In The Contemplative Life, Goldsmith explains the life of contemplation and its mystical outcome: spiritual unfoldment and spiritual oneness. He explains how to become aware of the presence of God within and how we can come into the fullness of the scriptural promise that when we take no thought and seek God first, all things will be added unto us. In revealing how the practice of contemplation leads to actual inner experience of truth, Goldsmith covers topics such as conscious awareness, daily preparation for spiritual living, contemplative meditation, the secret of supply, and being a beholder of God's grace. After The Contemplative Life was published, Joel said that it became his "Infinite Way Bible," and said that Chapter 8 in the book, "Contemplation Develops the Beholder" is one of the most important chapters in all of the Infinite Way writings.